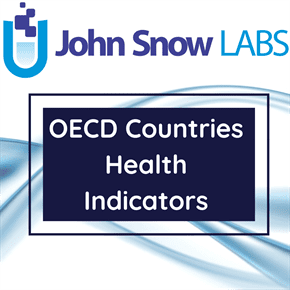 This dataset contains communicable diseases statistics for countries members of OECD (The Organization for Economic Co-operation and Development) and countries in accession negotiations with OECD. The values of the indicator cover periods from 1980 to 2016. The dataset is provided by OECD (The Organization for Economic Co-operation and Development) whose mission is to promote policies that will improve the economic and social well-being of people around the world. OECD’s work is based on continued monitoring of events in member countries as well as outside OECD area, and includes regular projections of short and medium-term economic developments. The OECD Secretariat collects and analyses data, after which committees discuss policy regarding this information, the Council makes decisions, and then governments implement recommendations. The OECD Health Datasets offers the most comprehensive source of comparable statistics on health and health systems across OECD countries. It is an essential tool to carry out comparative analyses and draw lessons from international comparisons of diverse health systems. Two indicators are used for AIDS (Acquired Immunodeficiency Syndrome), the number of cases and the incidence per 100,000 population. The primary data was collected for European countries through The HIV/AIDS surveillance in Europe and are provided by European Centre for Disease Prevention and World Health Organization (WHO) Regional Office for Europe as well. For non European countries, time series are completed based on national data for selected years. The others indicators, incidence of pertussis, measles and hepatitis B are calculated also per 100,000 population. For these indicators country level sources were used to retrieve the data. Breaks in the time-related continuity of data on which the calculated indicators values are based are specified in the content of the dataset.